Why it matters: "Several risk factors for sexual harassment identified by the U.S. Equal Employment Opportunity Commission are deep-seated at state capitols: Lack of diversity, power disparities, tolerating or encouraging alcohol consumption, and many young staffers." "Illinois became the latest to join the chorus, as signatures piled up [yesterday] on an open letter describing harassment and intimidation for women trying to negotiate legislation and work on campaigns." "In California this week, the Senate hired a law firm to investigate after women described a culture of sexual intimidation." Last week more than 140 women came forward alleging sexual misconduct my powerful men in the legislature. 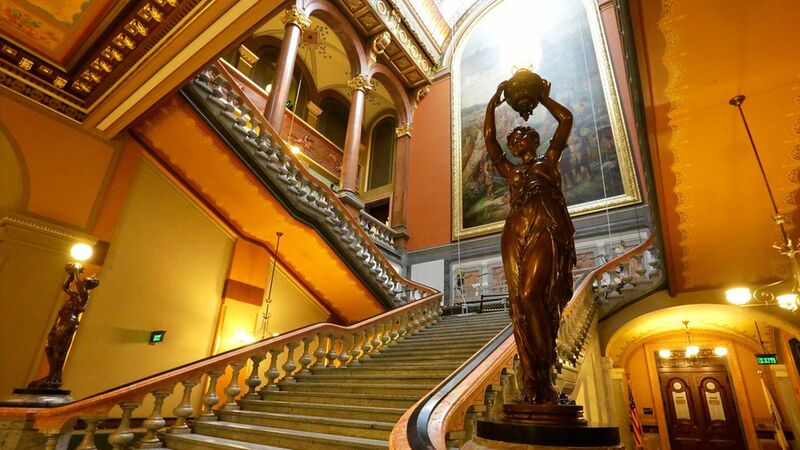 "Lawmakers in Oregon and Rhode Island have spoken up to accuse male colleagues of inappropriate touching or suggesting that sexual favors be a condition for advancing bills." What's next: "More women are coming forward with stories, some are naming names and states are making fresh promises of investigations and of legislation."